The most exclusive experience for the woman who deserves the best. 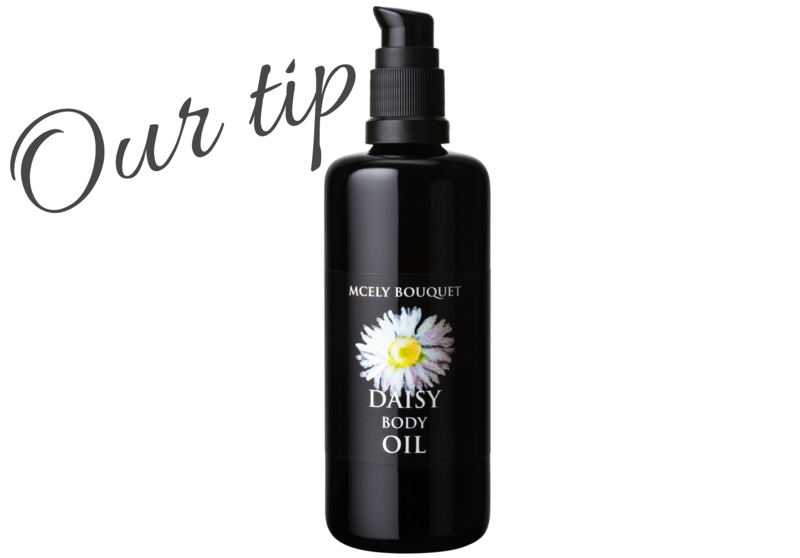 Extract of local daisy firms the breasts, while the blend of precious oils with herbal extracts smoothes out the skin, improves its elasticity. The most exclusive experience for the woman who deserves the best. The three noblest essences in the world – jasmine, rose and neroli – will transform you into a queen of day and night. They release tension, increase self-confidence, liberate you from prejudice, awaken desire and heighten your joy of life. Extract of local daisy firms the breasts, while the blend of precious oils with herbal extracts smoothes out the skin, improves its elasticity, and heals stretch marks and scars. Use as hydrating or massaging body oil. Tip: Recommended for partner massage.